Using proper SEO (search engine optimization) methods and techniques is a vital part of building a business today. 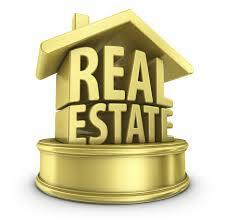 The success of any operation is built upon proper strategic planning, and the real estate industry is no exception. As the real estate market continues to build steam and home buyers are entering the market is large numbers, real estate agents will need ways to set themselves apart from their competition. One of the best ways to do this is by boosting your online presence. It’s difficult to sustain any business in the current economy without having a solid and growing online presence. According to forbes , there are massive benefits to cultivating your online presence, and the vast majority of small businesses are not making use of the benefits associated with a powerful web presence. Business owners who understand the importance of their web presence have grasped that it’s impossible to grow without the use of SEO. There are any number of ways to drive targeted traffic to your website or blog. You can use opt-in lists, pay-per-click advertising, and more. But one of the most effective ways to generate traffic is through the organic approach. This means optimizing the content on your page so that when people search for information or services related to the real estate industry, and they use particular keywords, your site will turn up prominently in the results. Chase International does an exemplary job of optimizing the pages on its site so the company lands on the first page of searches that focus on this company’s areas of expertise. This is key to maximizing the amount of organic traffic that the site attracts. Smart use of SEO ensures there is balance in your approach toward building traffic. Another thing that SEO does is ensure that the people who come to your site via organic searches are definitely looking for what you have to offer. These are not simply people who stumbled upon your site; they came there on purpose to find out what you have to offer. According to Burst SEO, the real estate industry is in the top three when it comes to industries that benefit from SEO. When a person or family is looking to purchase or rent a home, one of the first things they do is conduct an Internet search to find an agent they think would be ideal for the task at hand. An effective SEO campaign will allow you to establish relationships through your site or blog with many of these potential buyers before they start their house search in earnest. This gives you time to earn their trust. An article on the Union Street Media site argues that SEO is one of the top methods for building a web presence that has significant impact; and blogging is one of the most effective online tools for real estate agents. If you can blog, one of the most efficacious long-term methods for building traffic to your blog is SEO. It would be a costly mistake for an agent or real estate firm to neglect the creation of an SEO campaign for their site or blog.